Find the idea of 'looking for love' toe curling? Well, what could be more embarrassing than watching other people talk about their teenage love lives? This lot will kick your dating shame the curb. 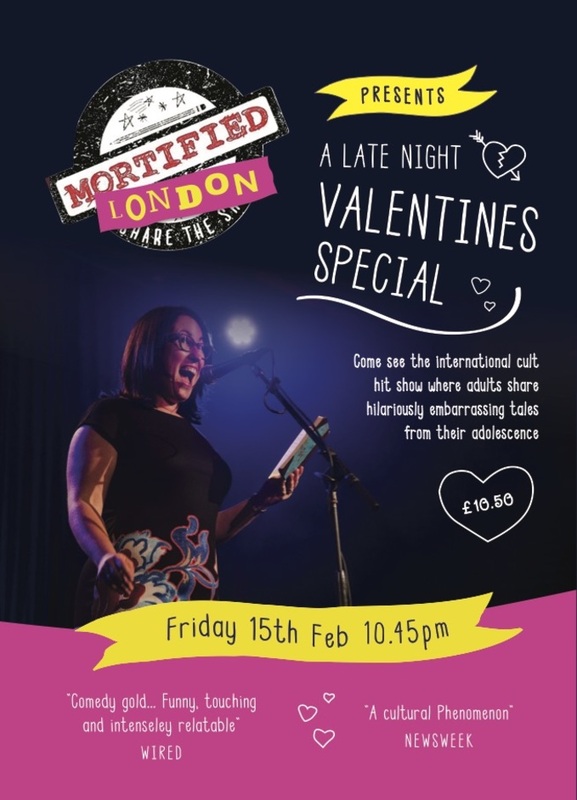 Especially for Valentine's Day, the London chapter of Mortified presents a special late-night, love-struck edition of the hit fringe show, as part of the VAULT Festival in The Vaults under Waterloo. Part-comedy, part-storytelling, participants share extracts of their teenage years. If you're on a first date this will help you skip the awkward chat. If you're here with the love of your life, you can thank your lucky stars you're safely beyond the school girl crushes and the agonising unrequited love. What are the best dining options near Mortified Live: London London? Mortified Live: London gyms, sporting activities, health & beauty and fitness. The best pubs near London Mortified Live: London. Mortified Live: London clubs, bars, cabaret nights, casinos and interesting nightlife. Where to have your meeting, conference, exhibition, private dining or training course near Mortified Live: London. From cheap budget places to stay to luxury 5 star suites see our deals for The Vaults hotels, including Park Plaza Westminster Bridge Hotel London from 83% off.